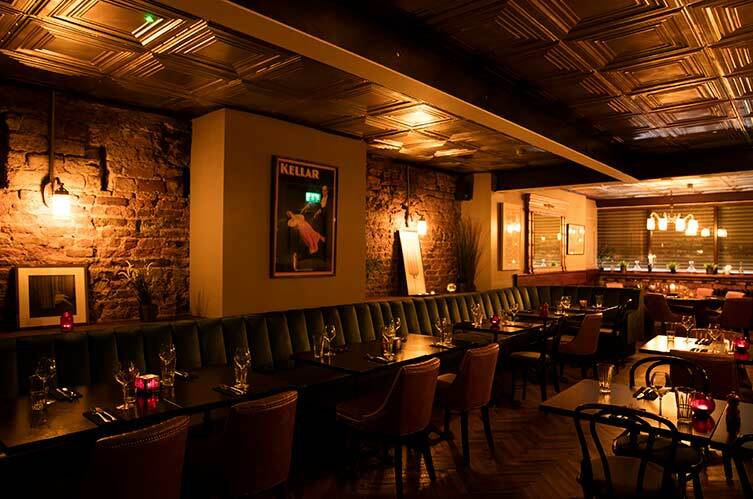 We offer areas for drinks with finger food, sit down Lunch and Dinner. 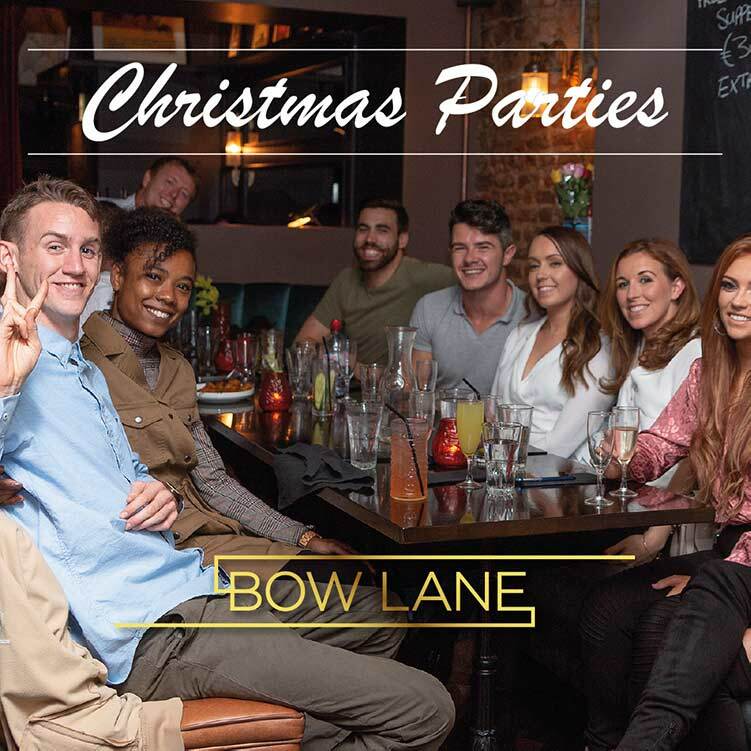 Bow Lane is an excellent city centre venue to host your Christmas celebrations in 2018. 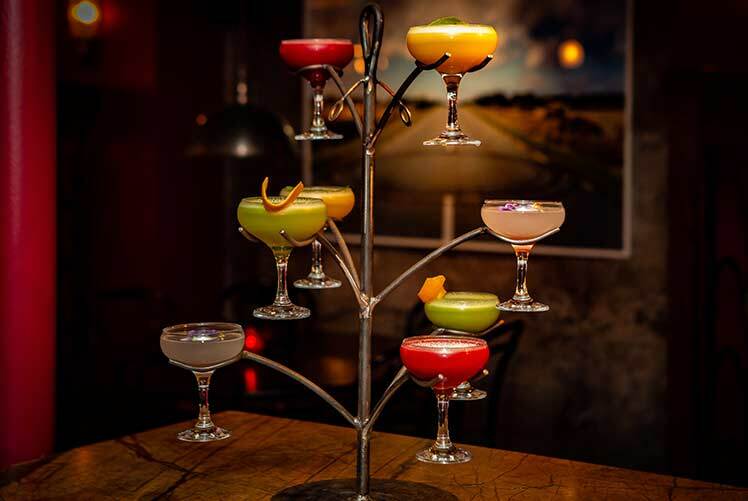 Smart, comfortable, great service, delicious food and lip-smacking craft-made cocktails. Come in for a sit-down Christmas lunch or dinner in our restaurant, meet up with your friends and colleagues for drinks and nibbles in a reserved area of the bar, it’s your choice. We have a DJ on every evening from around 10pm to take the party late into the night if you desire. Our diary is getting pretty full, particularly for the very favourite dates (Fridays nights) and we encourage potential bookers looking to place large groups to go for days earlier in the week (Mondays to Wednesdays and Thursdays early in the month) and Bow Lane is also available for exclusive hire for large groups. On Weekends in December we will still be doing Boozy Bottomless Brunches on Saturday and Sunday and Free Flow Supper Club on Saturday nights. After Christmas from the 27th December to New Year’s Eve Bow Lane will be open for Boozy Bottomless Brunch every day and Free Flow Supper Club every night. Bow Lane is available for exclusive book-outs but dates are limited. We will consider enquires made for a Monday, Tuesday or Wednesday. These events can be drink only but we also have a great finger food selection. 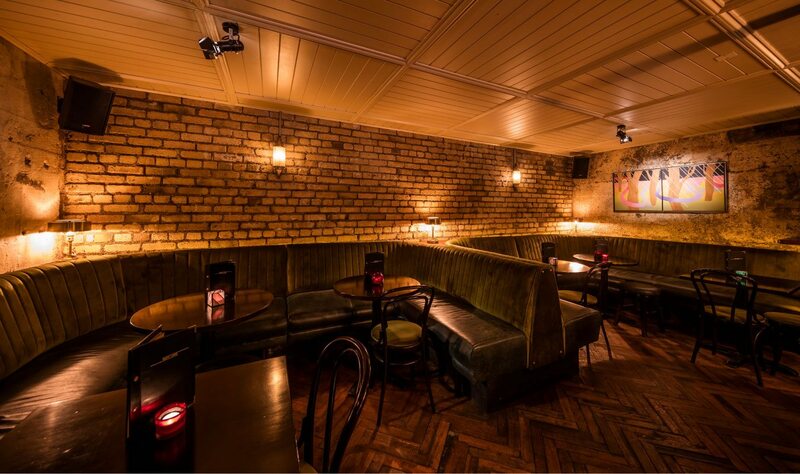 If you’re looking for an area for drinks we cater for groups from 10 to 100+ people. For groups of around 20-40 we have several areas that suit. We have a Finger-food menu (View Here) that costs 8 euros per person.